Making Payments Simple, Reliable and Secure. 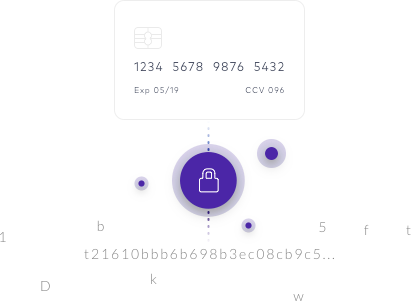 Experience our patented tokenization and encryption technology keeping customer data safe, while accessing advanced real-time reporting across all payment channels. At GDpay we believe in educating our clients so they can make an informed decision when selecting the right Merchant Service Provider. GDpay has alliances with the top processors to guarantee the most flexible payment solutions on the market. Our technology, knowledge and integrations is where we separate from the competition. Let us deliver the most reliable, consistent service while building a trusting relationship. At GDpay, we have been providing this simple message for 20 years. Call us today to experience the GDpay way! This only takes a few minutes and can save you thousands in credit card processing fees. We’ll also make sure your company is update date on all the latest Industry changes to ensure a smooth transition. Process EMV (chip cards) NFC (Apple Pay® or Android®) bluetooth payment technologies. Accommodate your customers favorite payment methods in this fast changing world. State-of-the art, end-to-end (P2PE) encryption technologies which reduces fraud. Works with registers scanners, printers and more. Plays well with 3rd party applications to save time, increase profits and allows capabilities to launch your business into the future. Complete suite of mobile processing solutions for on-the-go merchant enabling them to be successful in todays competitive landscape. Instantly download from app store and securely process payments anywhere, anytime. Use your iPhone®-iPad®-Android®-devices in a mobile environment. Cloud based POS systems that run a iPads® now give small to medium sized merchant the same powerful tools large enterprise merchants have been using for years. This is an efficient solution that reduces hardware and software costs. Virtual terminals also known as payment gateways is the foundation of secure payments. Virtual terminals allow all types of merchants processing secure transactions while integrating other business applications. Interchange plus pricing ensures that merchants alway pay the least amount of fees no matter of the card type. Fees are collected at cost on interchange (amount that is paid to card issuing bank) and payment brands (Visa®, MasterCard®, Discover® and American Express®) The merchant service provider will have a small markup fee for servicing the account. Don’t be fooled by flat or tiered pricing programs as on most popular programs you’ll pay 1% higher fees. In this world of innovation its imperative to have solutions that can work with 3rd party applications. As a merchant service provider we have integrated with leading companies that help run your business more efficiently. Track, process and manage your payments. A revolutionary payments platform that transforms the way your business manages transactions. Click the logos below for more details on these payment integrations. 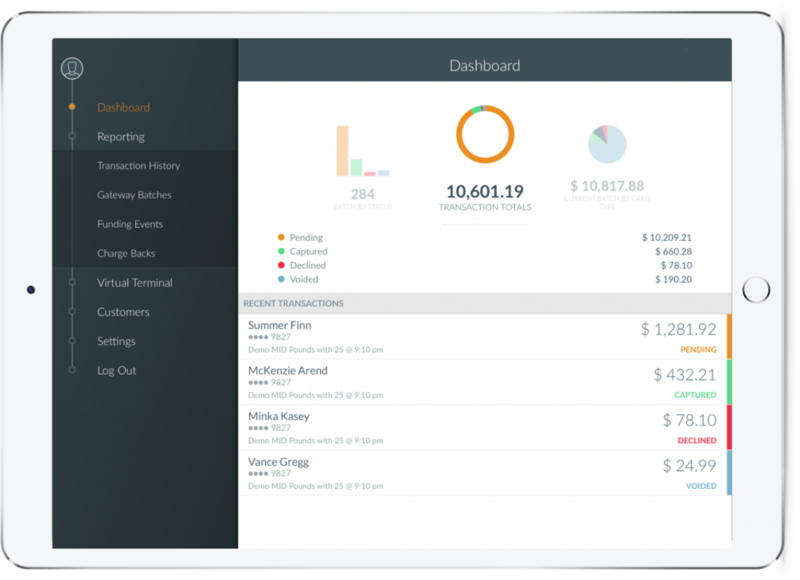 Processing transactions within Quickbooks provides a secure avenue for sending and receiving payments. Supports Quickbooks Pro, Premier, Enterprise, POS and Online versions. 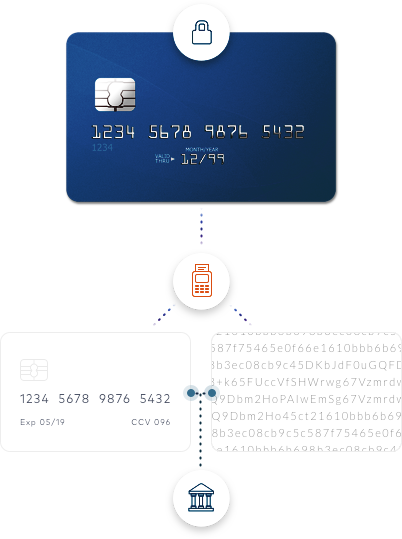 Our Oracle-validated Payment Gateway connects Oracle to the banking system, allowing you to safely and smoothly process all transactions. Our integration for JD Edwards tokenizes all transaction data at the point of entry, simplifying payments for JDE users and drastically removing the scope of PCI. Our SAP-certified solution integrates all types of payment channels into your SAP environment, complete with P2PE and tokenization to reduce PCI scope. Combining your merchant account with Sage 50 & 100 provides a secure avenue for processing payments. This seamless integration is essential for running your business. Our Woo Commerce plugin makes it super easy to integrate secure payment acceptance to your e-commerce website. A simple plugin for your Magento shopping cart allowing you to instantly tokenize and process payments. The most effective way to secure cardholder data for swiped, dipped and keyed transactions. Reduce your SAQ to 26 questions, with the potential to eliminate the SAQ completely. Thwarts would-be attackers from spreading malicious software across your network of terminals. Tokens are randomly generated so impossible to decrypt. Tokens can be used for recurring charges. Passes Luhn test, maintains BIN recognition and last four. Tokens are unique to your organization. GDPay is awesome! He listened to what our problem was and came up with an immediate solution that was very easy to implement. We are now saving over $1000 per month! Give these guys a chance...you won't regret it! Very easy people to work with. Don't even bother with going through a bank for card processing, you are just padding their bottom line. Just wish I would have found GDpay earlier. We have helped 1,000's of merchants save money on credit card processing.